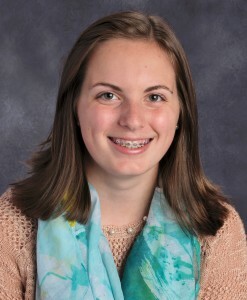 Penn Manor High School freshman Peyton Cassel has won an honorable mention and a $100 prize for her prose submission to the 2015 International Ocean Awareness Student Contest. As one of the selected winners from more than 1,100 submissions from 35 countries, Peyton’s writing will be featured in galleries and merchandise sent around the world. The contest prompted students to consider “Our Oceans, Our Plastic” to direct attention to the growing problem of ocean plastic pollution. Submissions ranged from essays and stories exploring the cause of plastic pollution to sculptures and dresses crafted completely out of discarded beach plastics. Peyton’s short story, “Beneath the Blue,” written when she was an eighth-grader at Manor Middle School, portrays a world in which the ocean has become so polluted it is unrecognizable. You can read her winning entry here.